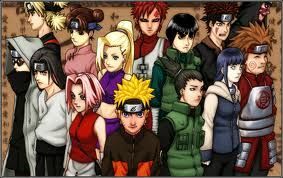 You are going to Watch Naruto Shippuden Episode 145 English dubbed online free episodes with HQ / high quality. Stream Anime Naruto Shippuden Episode 145 Online English dub Successor of the Forbidden Jutsu.The ninja bandits have a meeting with their leader about the Forbidden Jutsu. Elsewhere Team 7 tricks Hotaru into staying as her bodyguards until they reach her village. After reminiscing about the past, Utakata wakes up to come across the ninja bandits and fights them until he is cornered by their barrier jutsu which soon explodes. Team 7 finally reach Hotaru’s village and they leave her in their care, but Naruto senses something troubling and heads back to the village, suspicious of the villagers’ attitude toward Hotaru.